Ladies Soiree @ The Glasshouse Friday 8th May @ 5.30 p.m. 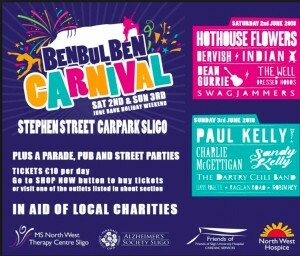 This years Benbulben Festival takes place over the June Bank Holiday weekend and the Friends of Sligo University Hospital have been selected as one of the four charities to benefit from the proceeds. So please tell your friends, get your party gear on and make the Festival the go to destination for the bank holiday. 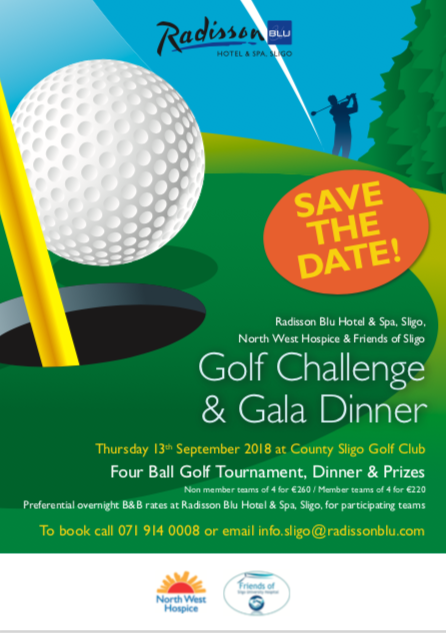 Please go out and support it in the Sligo Golf Club and play your part in fund raising for the Hospice and Friends Charities. In Association with North Sligo AC, Friends of Sligo University Hospital are fundraising for a Bereavement Room for the Maternity Ward in Sligo University Hospital. 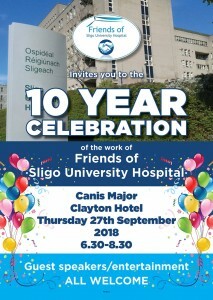 Please note to Paypal entry will be done through the Hazelwood Haunting for convenience of which the Friends of Sligo Hospital Charity is a partner. 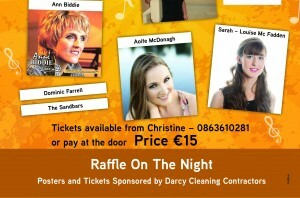 Entry is €25 each plus a small administration fee. Just select pay with Paypal and your details with be recorded. Confirmation and race scheduling will be email the week of the event. Registration will be done on the day. The hotly anticipated All Ireland Wheelbarrow Championship is now open for entry. Demand is massive and spaces are limited so do not hang about. Teams will be made up of a male and a female with both parties pushing the wheelbarrow for 100m. For safety reasons and because of the substantial costs involved the wheel barrow will be empty. This is a straight forward dash 100m in both directions. Competitors will be required to wear their county colours. They will also be required to participate in the pre-race parade so the punters can size them up. 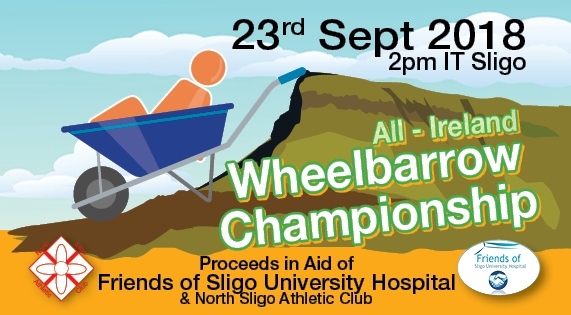 There will be 8 races of 12 teams with the top three progressing to the semi-finals and the final where we will crown The All Ireland Wheelbarrow Champions. This is a fun event and all shapes and size are welcome to participate. This event is free for the general public to attend and support. 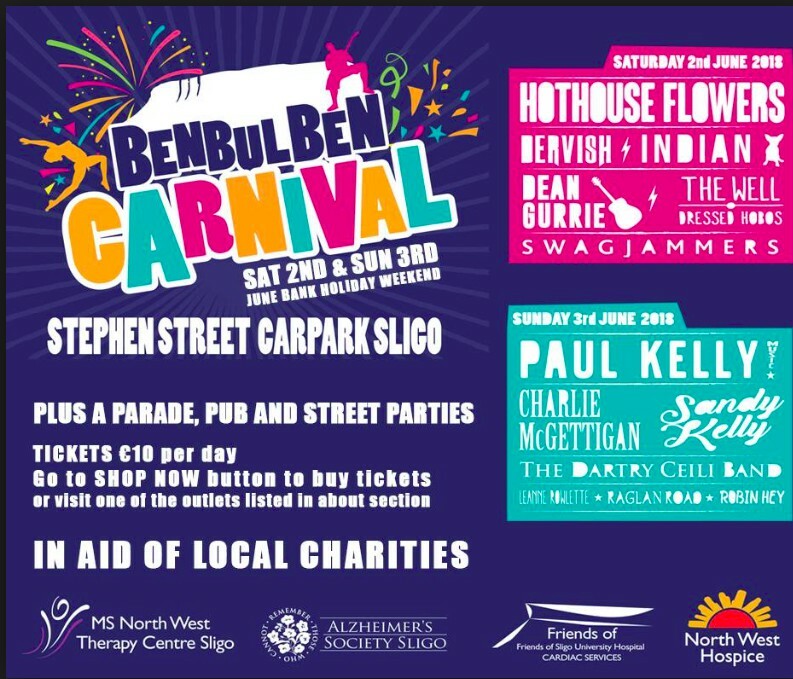 There will be different activities for all ages, bouncy castles, kids races, face painting, ice cream, sweets, food, coffee/tea, DJ and lots of fun for all. Please support this great event on the day for a good cause. Be scared be very scared. The Friends of Sligo University Hospital and Carns NS are delighted to invite you to the 2nd Hazelwood Haunting, which takes place on 27th & 28th October 2018 at Coillte Hazelwood Forest, Sligo. Tickets are on sale on carnsschool.com/hazelwood-haunting, as this event was sold out last year, we would strongly advise purchasing your tickets in advance. Like fb.com/TheHazelwoodHaunting page to get more details. 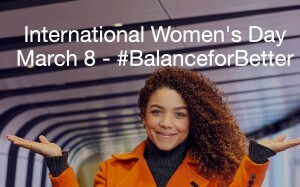 Better the balance, better the world. 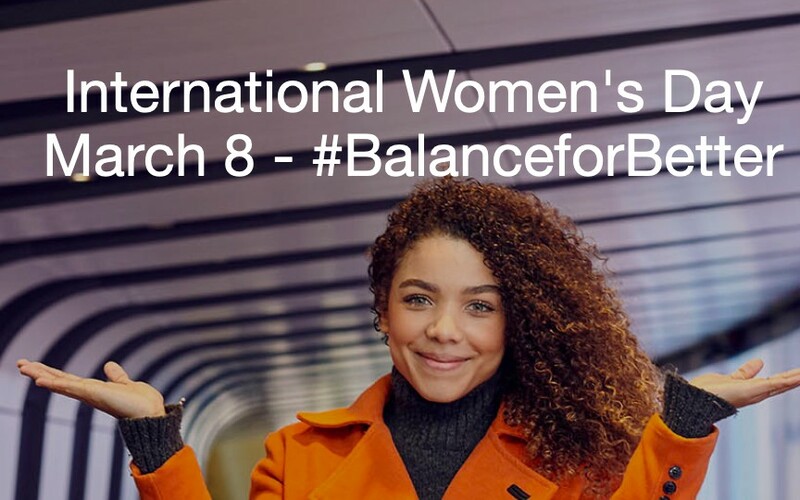 How will you celebrate women’s achievements on Friday March 8, while calling for a more gender-balanced world? 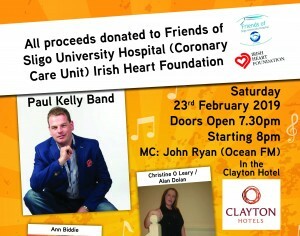 Come and Join us on the day in The Glasshouse Hotel Sligo. All details and planning is well under way to make this a great success this year.